FTC disclosure: This post may contain affiliate links. I've been an eBay member since 1998 and have been selling most of that time. That's a long time, and I'd like to share a few basic tips for anyone who would like to sell a few things. 1. Follow the rules. Yes, all of them. rked. The word "Onesie" is owned by Gerber. Can you call something a Onesie? Only if it's Gerber brand. Otherwise call it a sleeper. 2. Be aware of fees. I have a rule of thumb on my listings that 25% of the final price will go towards fees. (For me this includes everything from eBay fees, Paypal fees, and shipping supplies.) Price accordingly so you don't lose money when making a sale. 3. 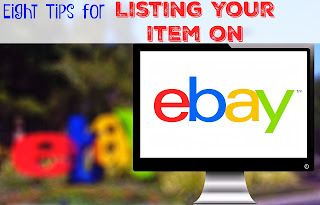 Start auctions at the lowest you would be willing to accept for an item. When determining the lowest you would be willing to accept, keep in mind fees and your time invested. Some items may only get one bid. You might sell something you expected to be bid up, but it might sell for opening bid of 99 cents. Some items take longer to list than others, but I keep in mind an average of one hour per item from sourcing until it's shipped and feedback is left. I know my time is worth more than 99 cents an hour, so I won't start anything with a 99 cent opening bid. Make sure you have good, in focus photos. Also, leave anything out of the photo that shouldn't be there. I once saw someone selling antique papers such as letters, deeds, etc. and there was butter and syrup on the table from breakfast. I am sure you love your pet, but keep him out of the photos. You are currently allowed 12 photos, and if you can use all of them. Photos really help an item sell. 5. Know how much to charge for shipping. If you don't have a shipping scale or kitchen scale you can take a box to the post office and they can tell you how much it weighs. Although if you are going to sell much, I would highly recommend a scale. You can purchase a scale for under $20 and the amount it will save you is well worth it. You need to input the weight BEFORE you list something. You can't request more from the buyer if it costs more to weigh than expected. Because shipping is expensive, don't guess on this one. Also, know what you are going to ship the item in. The post office provides free priority mail boxes that must be used for priority mail. Remember, the package is the first impression of the item. Don't mail in an empty tampon box, used pizza box, or anything like that could have smells in it such as a used detergent box. People search by keywords. You don't need punctuation in your title, and it doesn't need to read like a sentence. Look at your item when you are listing and think "What words best describe this?" and "What might people type in when looking for this?" Your goal is to make your item findable in search. It's not uncommon for me to use double keywords. If I'm selling a coffee mug, I might put Coffee mug cup in the title because someone might search for coffee cup and another person might search for mug and my item would be findable with both searches. 7. Know your selling limits. 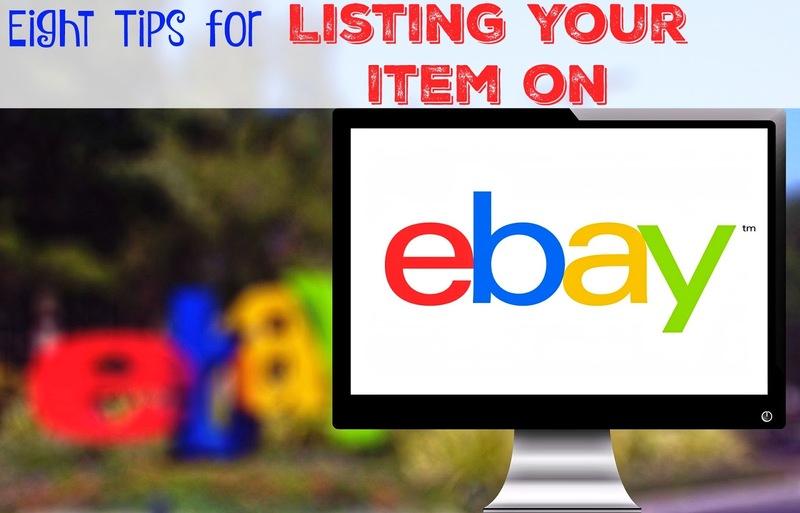 When I first started selling on eBay, there were no selling limits, but now eBay limits sellers (including me) to a certain number of items or amount sold each month. You are allowed to call once a month and have these raised, but don't just assume you can list everything in one month, because you might not be able to, especially if you are new to selling. Don't say something is in good condition if it isn't. Take photos of flaws, and I tend to over describe any problems with the item. I'd rather have someone leave me a feedback of "Better than expected" than be upset that the item wasn't in the condition they had anticipated! I had to stop trying to sell on ebay and amazon after the fees they charged became ridiculous. Anyone who still tries to sell on ebay and make money has my respect!